Recently Lee Richardson of SportBall introduced me to Jared Hendry, a UVic student with a sports-related project for children in developing nations. 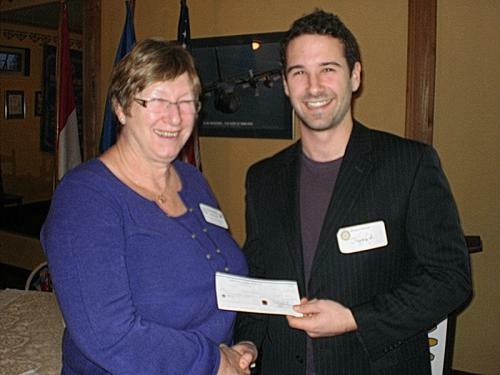 Jared applied for a Rotary Ambassadorial Scholarship. His application was highlighted by a project he wanted to start that would send sports equipment to children ages 5-18 in impoverished countries. Sports have been proven to dramatically increase children’s performance in school, their physical fitness, and decrease anxiety and depression. There have been significant benefits associated with introducing sports to developing nations. Jared didn’t get the scholarship but decided to proceed with his project regardless. He was able to contact the president of a Non-Governmental Organization called WE International, which operates in the Philippines, primarily inSmokeyMountain, located on top of a landfill on the outskirts of Manila. The 10,000 residents of Smokey Mountain scavenge for recyclable materials to sell at the market to produce a meagre income. Currently, WE International looks after the basic necessities of the people of Smokey Mountain, such as medical care, shelter, clothing, and food. The contribution of sports would be a huge help to get to the end goal of creating college graduates and break the cycle of poverty, which has kept so many people stuck in this incredibly poor region. Through a posting on the BC Rugby News website he was able to attract the attention of the manager of Overseas Container Forward, which ships directly to Manila, offered to ship at cost ($500-$1000). The Great Little Box Company agreed to provide boxes. Seawings Express will ship the equipment from Victoria to Vancouver for only $60. Jared is well on his way to reaching his monetary goals. He currently has over 40 pairs of shoes, 50 basketball uniforms, 50 basketballs, 60 rugby uniforms, 250 soccer uniforms, and 250 soccer balls. So often, as families in the developed world, when our children age, sports equipment accumulates, un-used, in our attics and crawl spaces. Here’s an opportunity to change another child’s life – through sports in the developing world.